Guillain-Barre syndrome is a serious disorder that occurs when the body's defense (immune) system mistakenly attacks part of the nervous system. This leads to nerve inflammation that causes muscle weakness and other symptoms. You may need to be treated in the hospital for the first few weeks. This is because GBS can be deadly if weakness spreads to muscles that control breathing, heart rate, and blood pressure. 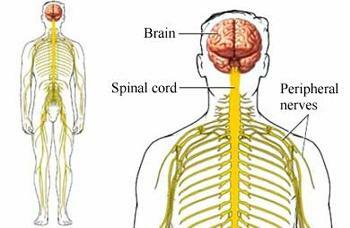 A history of increasing muscle weakness and paralysis may be a sign of Guillain-Barre syndrome, especially if there was a recent illness. A medical exam may show muscle weakness and problems with involuntary (autonomic) body functions, such as blood pressure and heart rate. The examination will also show that reflexes, such as the "ankle or knee jerk," are decreased or missing. Nursing Diagnosis : Risk for Impaired Skin Integrity : dekubitus related to kelemahan otot, paralisis, gangguan sensasi, perubahan nutrisi, inkontinensia. Patients retain the skin remains dry and intact. Maintaining depressed area remains dry and intact, free of pressure sores. 1. Assess motor function and sensation every 4 hours. R /: muscle paralysis can occur quickly with a pattern that has been rising. 2. Assess the patient's degree of dependence. R /: To identify patients in need of ADL ability. 3 . Monitor depressed area. R /: Identifying early signs of pressure sores. 4. Keep the bed, lake remains clean, tight and dry. R /: Laken, wet, dirty, matted facilitate the occurrence of pressure sores. 5. Monitor intake and output of nutrients. R /: inadequate nutrition reduce the risk of pressure sores. 6. Perform over the position every 2 hours. R /: Smooth distressed parts of blood flow.